Philipp André Maas is currently a research associate at the Institute for Indology and Central Asian Studies, University of Leipzig and was previously an assistant professor at the Department of South Asian, Tibetan and Buddhist Studies at the University of Vienna, Austria. He received his M.A. (1997) and Dr. phil. (2004) degrees from the University of Bonn, Germany, where he studied Indology, Comparative Religious Studies, Tibetology and Philosophy. His first book (originally his PhD thesis) is the first critical edition of the first chapter (Samādhipāda) of the Pātañjala Yogaśāstra, i.e. the Yoga Sūtra of Patañjali together with the commentary called Yoga Bhāṣya. He published, inter alia, on classical Yoga philosophy and meditation as well as on the textual tradition of the Pātañjala Yogaśāstra. 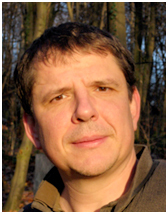 For the last couple of years, he worked in several research projects directed by Prof. Karin Preisendanz (at the Austrian Academy of Sciences and at the University of Vienna, Austria) that aim at a critical edition of the third book (entitled Vimānasthāna) of the oldest classical text corpus of Āyurveda, the Carakasaṃhitā. Since 2009 he is a member of the “Historical Sourcebooks on Classical Indian Thought” project, convened by Prof. Sheldon Pollock, to which he contributes with a monograph on the development of Yoga-related ideas in pre-modern South Asian intellectual history. Listen to an interview with Dr. Maas on the Pātañjala Yogaśāstra here and you can view a video of Dr. Maas presenting on ‘Once More on Postures in the Pātañjala Yogaśāstra’ at Loyola Marymount University here. 2018 – Yoga in Transformation: Historical and Contemporary Perspectives (ed., with Karl Baier and Karin Preisendanz). Vienna: Vienna University Press (Vienna Forum for Theology and the Study of Religions 16). Open access version available here. 2006 – Samādhipāda. Das erste Kapitel des Pātañjalayogaśāstra zum ersten Mal kritisch ediert. (Samādhipāda. The First Chapter of the Pātañjalayogaśāstra for the First Time Critically Edited). Aachen: Shaker (Studia Indologica Universitatis Halensis) (Geisteskultur Indiens. Texte und Studien 9). 2018a – “Sthirasukham Āsanam”: Posture and Performance in Classical Yoga and Beyond. In: Karl Baier, Philipp A. Maas and Karin Preisendanz (eds. ), Yoga in Transformation: Historical and Contemporary Perspectives. Vienna: Vienna University Press (Vienna Forum for Theology and the Study of Religions 16), p. 49–100. Open access version available here. 2018b – With Noémie Verdon. On al-Bīrūni’s Kitāb Pātanğal and the Pātañjalayogaśāstra. In: Karl Baier, Philipp A. Maas and Karin Preisendanz (eds. ), Yoga in Transformation: Historical and Contemporary Perspectives. Vienna: Vienna University Press (Vienna Forum for Theology and the Study of Religions 16), p. 283–334. Open access version available here. 2018c – With Karl Baier and Karin Preisendanz. Introduction. In: Karl Baier, Philipp A. Maas and Karin Preisendanz (eds. ), Yoga in Transformation: Historical and Contemporary Perspectives. Vienna: Vienna University Press (Vienna Forum for Theology and the Study of Religions 16), p. 7–17. Open access version available here. 2017 – From Theory to Poetry: The Reuse of Patañjali’s Yoga in Māgha’s Śiśu­pālavadha, in: Elisa Freschi and Philipp A. Maas (eds. ), Adaptive Reuse: Aspects of Creativity in South Asian Cultural History. Wiesbaden: Harrassowitz (Abhandlungen für die Kunde des Morgenlandes 101). p. 29–62. Open access version available here. 2013 – A Concise Historiography of Classical Yoga Philosophy, in: Eli Franco (ed. ): Historiography and Periodization of Indian Philosophy. De Nobili Series, Vienna 2013. Read or download a pre-print version. 2010b – On the Written Transmission of the Pātañjalayogaśāstra, in: Johannes Bronkhorst und Karin Preisendanz (ed. ): From Vasubandhu to Caitanya. Studies in Indian Philosophy and its Textual History. Delhi etc. : Motilal Banarsidass, 2010 (Papers of the 12th World Sanskrit Conference 10.1), p. 157-172. Read or download a pre-print version. 2010a – Valid Knowledge and Belief in Classical Sāṃkhya Yoga. In: Piotr Balcerowicz (ed. ), Logic and Belief in Indian Philosophy. Delhi etc. : Motilal Banarsidass, 2010 (Warsaw Indological Studies 3), p. 383-392. Read or download a pre-print version. 2009 – The So-called Yoga of Suppression in the Pātañjala Yogaśāstra, in: Eli Franco (ed.) in collaboration with Dagmar Eigner, Yogic Perception, Meditation, and Altered States of Consciousness. Vienna: Verlag der Österreichischen Akademie der Wissenschaften. (Sitzungsberichte der phil.-hist. Klasse 794 = Beiträge zur Kultur- und Geistesgeschichte Asiens 64), p. 263-282. Read or download a pre-print version. 2008b – ‘Descent with Modification’: The Opening of the Pātañjalayogaśāstra, in: Walter Slaje (ed. ), with a Preface by Edwin Gerow, Śāstrārambha. Inquiries into the Preamble in Sanskrit. Wiesbaden: Harrassowitz (Abhandlungen für die Kunde des Morgenlandes 62), p. 97-119. Read or download a pre-print version. 2008a – The Concepts of the Human Body and Disease in Classical Yoga and Āyurveda. Wiener Zeitschrift für die Kunde Südasiens 51 (2007/2008), p. 125-162. Download a copy. Download a full CV, including a complete list of publications.